To say that there is a fair amount of slang and jargon that surrounds the world of sports betting would be a massive understatement. No matter how casual of a sports fan you are, it is really useful to understand what these words and phrases mean. It is more likely than not that you will run into someone who wagers on sports and throws around at least some of the following terminology. We have created a sports betting glossary to better assist you. Action: When you have a bet of any kind on a specific game. 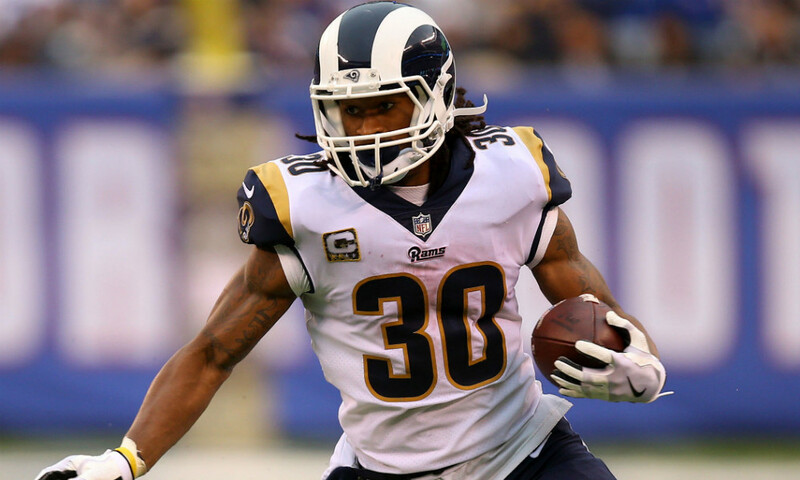 Against the Spread: If a team is 3-2 ATS, it means they have a 3-2 record against the point spread. They have covered in three games and did not cover in two games. Backdoor Cover: Speaking from experience, losing a bet via a backdoor cover is one of the worst ways to lose a particular bet, and one of the most stressful ways to win one. It is when a team scores points at the very end of the game to cover the spread unexpectedly. Bad beat: Losing a bet that you should have won. It is used more commonly at the end of the game when the betting result is decided in the final minutes. Side-note: If you wager on the NCAA Tournament, there will never be a worse bad beat than Northern Iowa blowing a 12-point lead in the final 35 seconds against Texas A&M in 2016. Book: Short for sportsbook or bookmaker. Bookie: A person who accepts bets illegally and charges more vig than most normal sportsbooks. Buying points: Buying points is a phrase that every NFL bettor should know. Some sportsbooks allow their customers to alter the set line which results in an adjustment of the odds. For example, if the Cardinals 2.5 point (-110) underdogs to the Seahawks, you could buy an additional half point to make them 3 point underdogs instead. The catch is that the line will likely shift from -110 to -130, which means you will be taking on a greater risk. Chalk: The most popular side in a particular game. People who typically bet the favorite are branded as ‘chalk bettors’, which normally isn’t a compliment. Cover: The betting result on a point-spread wager. For the favorite to cover, it has to win by more than the spread; an underdog covers by losing less than the spread or simply winning the game outright. Even money: A line that is +100. You put up $5 to win $5. Exotic: Any wager other than a bet against the spread or parlay. It is more commonly referred to as a ‘prop bet.’ An example of an exotic would be: How many yards will Tom Brady throw for against the Texans in Week 1? Futures bet: A long-term wager that typically plays out over the course of the season. Betting on a particular team to win the Super Bowl before the season starts would be classified as a ‘futures bet’. Half-time bet: A popular wager made in the NFL, and it is exactly what it seems like. A wager made during half-time. The results in the second-half are the only thing that matters when you wager this. Handicapper: A person trying to predict what side is going to win and what isn’t. Side-note: Most people who claim to be ‘handicappers’ are not as good as they might seem. Handle: The amount of money taken by a sportsbook or bookie on a particular event. Some events, like the Super Bowl, feature a larger handle than most due to its popularity. In-game wagering: Considered the next big thing amongst the sports betting community, it is exactly what it seems. Being ability to gamble on a result while the event is live. The odds shift on nearly every play or possession. Juice: The commission the bookie or bookmaker takes. Also known as vig, or vigorish. Standard rate charged is 10 percent but varies from place-to-place. Money-line: The easiest bet one can make. You pick one team to win and that’s it. Mush: Probably do not need to be a sports bettor to know what this is. Someone who considers themself to be bad luck. Off-the-board: When a book or bookmaker doesn’t allow you to bet on a particular game. This happens frequently across the NFL when there is uncertainty surrounding who the starting quarterback might be for a particular team. Over/Under: A wager that is determined by how many total points are scored in a particular game. This type of bet has gained popularity in the past 10 years. Parlay: A wager in which multiple teams are bet and the only way to win is if each particular team included in the wager covers their spread. The payouts can be huge, but the odds are stacked against you. Pick ‘em: Also seen as ‘PK’, it means that each side is essentially equal. There is no favorite or underdog. In this scenario, picking the outright winner of the game is also the same as picking the spread winner. Point Spread: The number of points by which a team is either favored by or an underdog by. If you are the favorite, you will need to win by more than their allotted point spread to cover. The underdog needs to lose by less than their allotted point spread to cover. Push: This happens more than you would think when betting on the NFL. It is when a team is favored by exactly three points and ends up winning by that amount. In this scenario, no side wins and the bettor receives a refund on their original wager. Sharp: A professional sports bettor. These guys wager on sports for a living and have access to information through advanced technology that most of the general public does not. They typically wager large sums of money and can alter a line with a single bet if enough money is at-stake. Square: The exact opposite of a sharp. A casual gambler. Someone who wants action on a game but does not have an elaborate reason for choosing one side or the other. As much as you hate to admit it, you are probably a square bettor. Teaser: Betting multiple teams and adjusting to the point spread in a significant manner to give yourself more of an advantage. All legs of this wager need to hit in order to claim a win, just like a parlay. Tout: A person or group of so-called ‘experts’ who either sell picks or give away picks on games. Most touts are typically not worth the down payment. Vig: Same definition as ‘juice’. This is the more politically correct phrase. Wiseguy: A synonym for ‘sharp bettor’. Shane Davies is a featured writer at BettingPros. For more from Shane, check out his archive.